Busy Bees in Telford - Pauline's Potatoes!!! 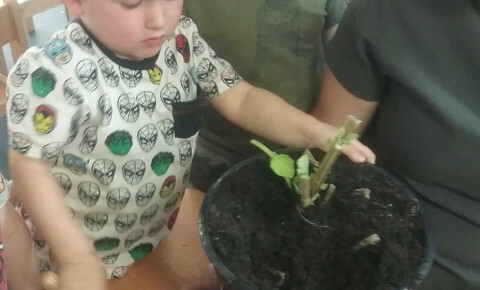 Our preschool children have recently shown an interest in plants and how things grow. We have been planting various goodies to grow in our garden and discussed what things they need to grow and how we continue to care for them. Today we have had a look at our potato plants, to find they had sprouted potatoes!!! The children were so excited that this has happened and they could see real potatoes. 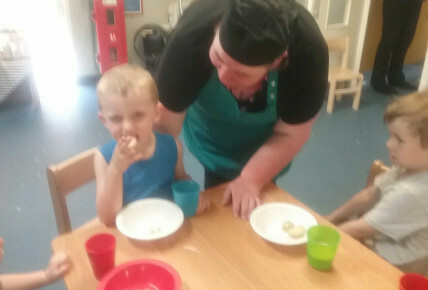 Our assistant chef Pauline joined in the fun, helping us dig for them, wash them and discuss what we can make with them. Pauline kindly went off to cook them for us so we could have as part of our afternoon snack, the children loved this!